Our specialist orthodontists and our amazing staff are here to assist you in achieving your perfect smile. Dr Guy Burnett is one of three partners in our practice. Dr Burnett obtained his orthodontic degree at the University of Adelaide in 1979 and is a full member of the Australian Dental Association and the Australian Society of Orthodontists. He is currently a clinical orthodontic postgraduate tutor at the Adelaide University, a position he has held for over 30 years. Dr Burnett was president of the Australian Society of Orthodontics SA over two terms and presents both Nationally and Internationally. He has a special interest in the treatment of sleep apnea. Dr Eden Lau is one of the partners in our practice. Dr Lau holds many professional qualifications at the University of Adelaide and also internationally. He is a full member of the Australian Dental Association and the Australian Society of Orthodontists. Dr Lau has been continually involved with dental education in Australia and has held various positions at the University of Adelaide such as clinical tutor, clinical examiner and subject co-coordinator. Dr Lau also held a position of Senior Visiting Specialist Consultant at the Adelaide Dental Hospital. Dr Lau has authored a dental research article published in the Australian Orthodontic Journal and also writes a weekly dental column in an Adelaide newspaper. He is also bilingual and speaks fluent Cantonese. James Moses is one of the partners in our practice. Dr Moses graduated from Sydney University with his BDS dental degree in 2001. He practiced general dentistry for several years before returning to study Orthodontics at the University of Adelaide. During these years, he served in the Australian Defence Force as a Dental Officer and received decorations for his dental services. After leaving the ADF, James worked in Mandurah, Western Australia in a busy country practice and focussed on aesthetic and paediatric dentistry. He was also closely involved in dental training and education. Having completed his specialist orthodontic qualifications, he attained his Membership in Orthodontics with the Royal College of Surgeons (Edinburgh) and with the Royal Australasian College of Dental Surgeons. He is a full member of the Australian Dental Association and the Australian Society of Orthodontists. James regularly attends professional conferences and recently presented his research at the WFO Congress in Sydney. 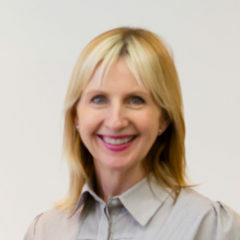 Janina has been involved in the dental industry for over 30 years and joined ONiA in 2009. Her clinical background adds to her many years of Practice Management experience, giving her a wealth of knowledge of all things dental, especially Orthodontics. 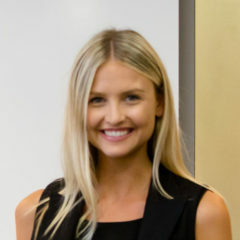 Janina oversees all 9 ONiA practices and is based in our Adelaide CBD headquarters. She thrives on excellent customer service and is always happy to help. Janina enjoys showing pedigree cats, travel and entertaining family and friends. 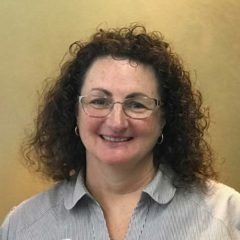 Lindi has been with ONiA since 1992, beginning her career as Dr Burnetts dental assistant in our Ceduna office. 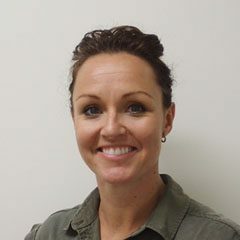 Having completed her Advance Oral Health Degree in 2002, as well at working with ONiA and a Specialist Periodontic practice, she is now a Clinical Tutor at the TAFE Dental Campus at Gilles Plains. Lindi is an integral part of the ONiA team and is always fun to be around. She enjoys Brazilian dancing, travelling and good food. Cheryl joined ONiA in 1999 and knows the practice inside and out. Her official role is ‘Country Co-ordinator’, ensuring that all our regional locations are running efficiently, fully stocked and ready to welcome patients. Cheryl also helps out with reception and just about anything else that comes her way. She enjoys spending time with family, travel and spoiling her two cats. 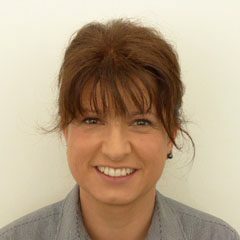 Vicki has been with ONiA since 1994 and has a scientific background, having worked at The University Adelaide, Department of Dentistry. 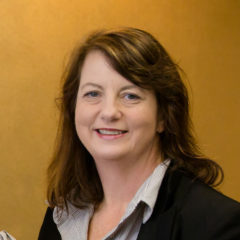 Vicki is ONiA’s stock and purchasing manager, our star Xray tracer and also travels with Dr Lau, assisting in our Mount Barker, McLaren Vale and Victor Harbor rooms. She enjoys travel, gardening and socializing with family and friends. Stacey is our front office Superstar, joining ONiA in 2010. She runs a friendly, efficient reception with a smile and is only too happy to welcome each and every patient. 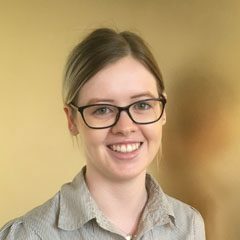 Stacey works in our Adelaide office, but seems to get to know all our patients around South Australia because of her caring and charming manner. She enjoys travel, modeling and has a Clipsal Grid Girl claim to fame! 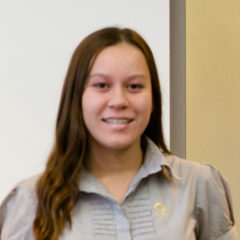 Aymee works with Dr Burnett in Adelaide and Semaphore and has been with ONiA since 2008. As well as being an amazing chairside assistant, Aymee helps out in reception and keeps our patients notified of their treatment reminders. She is always keen to help out with any task and is a fantastic team member. Aymee enjoys keeping fit, healthy living and family fun. 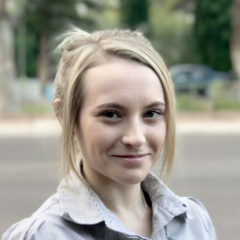 Erin works with Drs Burnett and Moses and travels between our Adelaide and Murray Bridge rooms. 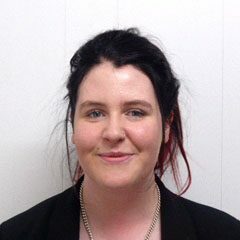 Originally a patient, Erin went on to start a traineeship with ONiA in 2012 and completed her Dental Assisting Cert III. Her dedication to every aspect of her work is appreciated by both ONiA and patients alike. Erin is busy building her first home and enjoys camping and looking after her border collie, Ollie. Cheryl-Joy, better know as CJ is one of our newer recruits, joining ONiA in mid 2015. 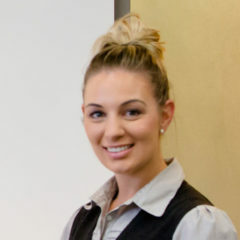 She holds a Dental Assisting Cert III and works with Dr Lau in our Adelaide and Semaphore rooms. CJ has embraced all aspects of patient care and been a dependable team member since day one. She enjoys family time and learning new things. Jenny works exclusively in our Ceduna rooms with Dr Burnett and joined ONiA in 2004. She knows just about everyone in the area and is a great asset to our team. 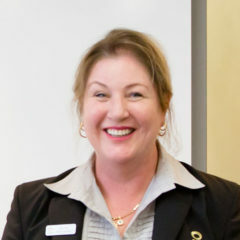 Katy works with Dr Moses in our Victor Harbor rooms, joining ONiA in 2012. There is nothing Katy won’t do to help out and every task is done with a smile. Sam started with ONiA in 2014 and runs our Whyalla rooms. She works with Drs Lau and Moses. In true country form, Sam is a friendly member of the ONiA team and keeps our busy Whyalla practice perfectly run. Emma is our newest team member, joining ONiA in late 2016. She looks after our Port Augusta practice working with Dr Moses. Emma is a keen all rounder with a great personality and we are thrilled to have her on board. Contact one of our friendly staff to start your orthodontic journey.